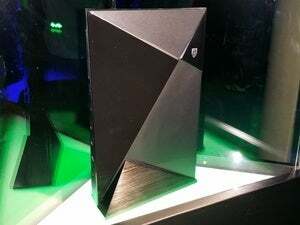 The Nvidia Shield didn’t exactly get a warm reception at its unveiling on Tuesday night. Whatever, haters. This is exactly the gaming and media box I’ve been waiting for—though not for the reasons that Nvidia wants. The features of Shield that Nvidia is hyping up the most are actually the ones that I care about the least. Grid and old games? No thanks. 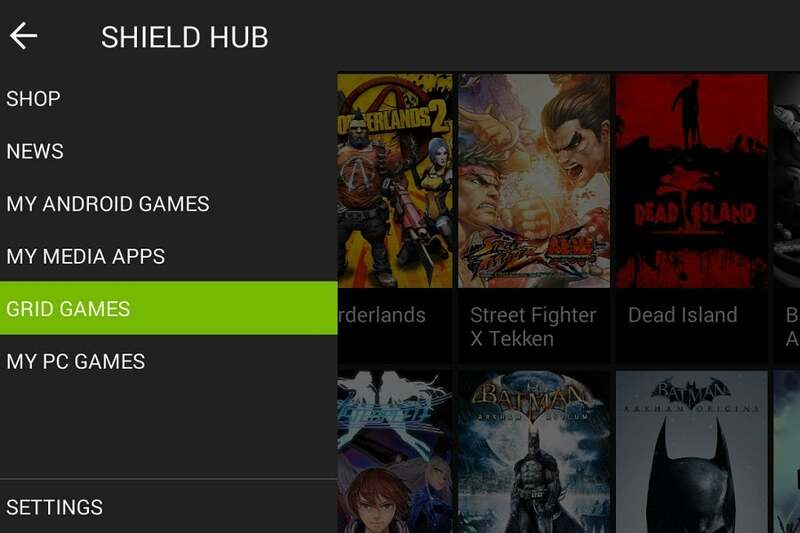 Nvidia is pitching its cloud-based Grid streaming service as a centerpiece of the Shield console. For $150 less than modern consoles, Grid will stream PC versions of the same games remotely from its own servers. You can play them immediately without downloading or installing anything, and there will be a “Netflix of games” subscription service that offers a smorgasbord of games to try. I couldn’t be any less interested in this feature. While Grid can be pretty smooth under ideal conditions, a service that’s completely separate from my existing PC game catalog is a non-starter for me. I don’t want to rely solely on streaming for my gaming needs, because it’s too prone to errors and doesn’t allow for permanent ownership of what you buy, so I need a service that respects my massive Steam backlog. Grid doesn’t do that—at least not yet. GRID streaming is an island, cut off from your existing PC gaming catalog. Shield’s other headlining feature is its ability to natively play last-gen console games like Crysis 3 and Borderlands: The Pre-Sequel. The fact that Nvidia has squeezed his level of performance from a mobile chip is amazing on a technical level, but again, it’s of little practical interest to me. I’ve already played a lot of these games, and my gaming time is limited enough that I’d rather not squander it on the last console generation. Oddly enough, the feature that interests me most about Shield is one that Nvidia spent zero time talking about at its press conference, and that’s GameStream. If you have a PC with an Nvidia graphics card, GameStream lets you stream your gaming catalog to the Shield console over a local Wi-Fi network. It’s basically the local network version of Grid, except it works with the games you already own. 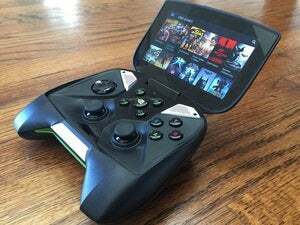 I’ve been using GameStream on Nvidia’s Shield handheld for over a year and find it liberating. Performance is smooth and lag-free for the most part, so instead of being tied to my desk, I can hang out in the living room with my wife, or enjoy a bit of gaming in bed before turning in. Without GameStream, a much bigger chunk of my PC gaming collection would be left unplayed or unfinished. GameStream has already proved its worth on Nvidia’s Shield handheld. While it’s possible to plug my Shield handheld into a TV via HDMI, and play games with a Bluetooth controller, setting it up is a hassle, and the Bluetooth connection introduces too much lag. I’ve been waiting for a proper GameStream device for televisions, and Nvidia has finally made one. Shield won’t be the only device to bring in-home game streaming to televisions. Hours before Nvidia made its announcement, Valve announced a $50 box called Steam Link, which also streams games from your computer over a local network. 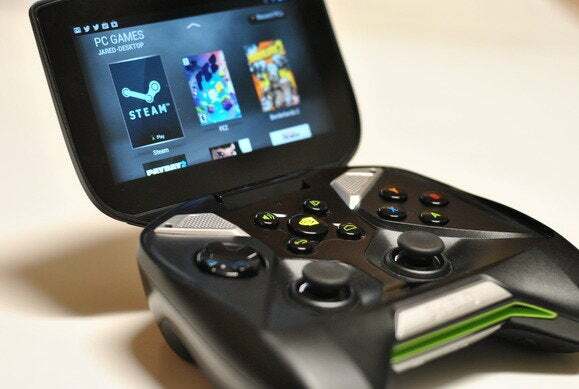 Unlike GameStream, Steam’s in-home streaming works with AMD graphics cards as well as Nvidia ones, and the hardware is a lot cheaper, even when you tack on a $50 Steam Controller. Why not just get a Steam Link, then? For me, Shield’s inclusion of Android TV justifies the extra $100 cost. We keep our living room fairly minimal, so a lightweight box that does gaming and video is perfect for our setup. Android TV launched last fall, and is Google’s attempt at a media streaming platform. While it has still has some rough edges, it also shows a lot of promise. It has basic apps like Netflix, Hulu Plus, Plex, and YouTube, and also supports Chromecast-like functionality, letting you launch all kinds of video and music apps straight from a phone, tablet, or Web browser. While there are plenty of other lightweight media streamers on the market, none of them add high-end PC gaming on top. And you know what? I kind of like the small-scale, more casual games that Android TV adds to the mix. I often find myself wanting a palette cleanser between heavier games like Dying Light and Far Cry 4, and a light little game like Leo’s Fortune would do the trick. I’m intrigued by the possibility of running emulators on the console as well. 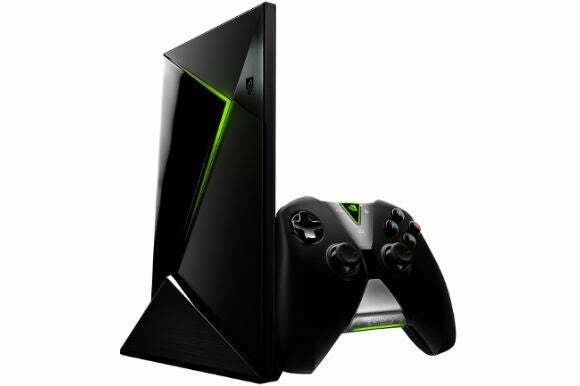 The grim reality for Nvidia is that the Shield console will struggle to find a market. The demographic Nvidia is targeting likely already has a modern game console or PC, and therefore doesn’t need a streaming service or last-gen games. And while GameStream works well, the whole in-home streaming concept has proven to be a niche interest. If you live in a small apartment or dorm, or otherwise aren’t burdened by the need to sit at your desk to play PC games, GameStream will be of limited use. Even if you like the idea, Valve’s Steam Link will be better fit if you don’t need the Shield’s multimedia capabilities. Once you filter out all those people who aren’t better-served by another device, you end up with a pretty small niche—maybe even a market of one. I guess what I’m saying is I, at least, owe Nvidia a thank you. Editor's note: This article was updated with a video report.